Don't be put off my the length of the audiobook, playing it at x 1.25 speed is perfect and cuts down the length a fair bit without losing and quality of the narration at all. Without doubt a wonderfully narrated version of this classic text. Buy it! Tears of a clown? Bit more grounded than that! I would recommend this as it's as far from the stereotypical 'comedians biography' as you can get. Kevin tells of his younger life and his journey that eventually led him to fame and acclaim as one of Scotland's most celebrated comics. But, although his childhood may be seen as some as a bit rough, growing up as he did in a less than affluent part of Glasgow, he makes no meal out of this and by no means suggests he had it bad. VERY funny throughout, this is a story that many of us can relate to and only wish we'd had the courage to follow our dreams as much as he did. Bridges isn't self congratulating at all through the book, nor is he blinded by his new fame. He's realistic - today everyone knows him and his gigs sell out in minutes, tomorrow he might be roughing it looking to do anything for money, maybe even sinking as low as to do 'strictly'. A pragmatist who admits he didn't fulfil his potential as a child, he takes the listener with him on a journey through not just his childhood, but his Glasgow. Audible will remove my review if I type that! Really, genuinely worth listening to. Exceptionally funny and no, you don't have to be a scot either to understand what he's saying or relate to his observations about the world around him! Definitely, if you've not read the book then you've probably been lead up a garden path in terms of what Stoker imagined, the films have never done the book justice. 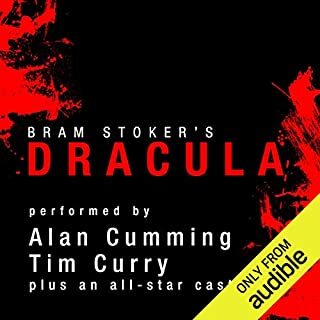 What other book might you compare Dracula [Audible Edition] to, and why? The book is constructed from a series of journals and diary entries of the main characters rather than a continuous 3rd person narrative. sounds like a laborious way to grasp a story but is a great tool for building tension. The cast did an excellent job in bringing the story to life, much better than if the entire book had been read by a single narrator doing voices! Well worth a listen, especially if you've picked up and put down the actual book a few times. Everyone should read/ listen to this! 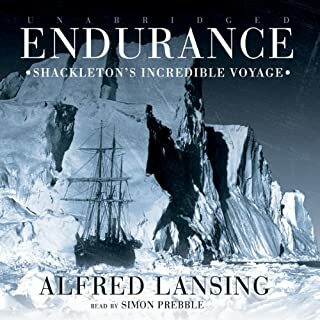 This incredible story is wonderfully written by Langsing and there couldn't be a better narrator for it, Prebble really brings the story to life. Each chapter is more suspenseful than the last, no matter if you're into exploration or not, no one can fail to be gripped by what truly is the greatest adventure story ever told. What does Anton Lesser bring to the story that you wouldn’t experience if you had only read the book? Lessers narration was brilliant , giving a much clearer understanding of what can be at times a complex text. Definitely worth getting, I probably would never have finished the book had I been reading it! So many people know about War and Peace and yet so few have read it, largely put off by its length and complexity of characters so having the book read to you is a happy compromise. It is definitely a story worth knowing and not just for the kudos of being able to say you’ve read it! BUT, Tolstoy likes making sure his reader has understood the main points he is trying to get across, so he repeats them A LOT. That and the huge attention to detail made the book quite a plod at times, retaining my concentration and not 'tuning out' was really hard at times. The end of the book is an epilogue in which Tolstoy talks (at great length) about the philosophy of written history and the futility of trying to distinguish between fact and fiction. It is without doubt the driest part of the novel as Tolstoy makes his thoughts clear very quickly (and to an extent has already expostulated on them throughout the main story), and then repeats and labours and repeats his point over and over again. We get it Leo, history is written by the victors, let it go man!! The narrator definitely did detract from the book. It took some time to get used to the narrator's implausibly upper-class accent and he sounded like a stereotypical 'thespian', but you've certainly got time to get used to it given the length of the book so after a while you can tune out the dodgy accents and stop laughing at his impression of the female characters and just concentrate on the text. 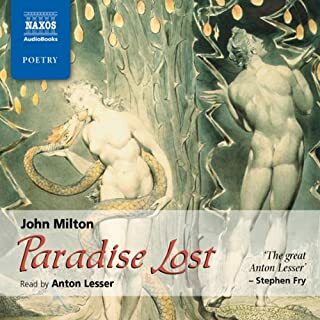 Other readings of war and peace are available and the most notable version (and the most expensive) is by Naxos. I was very tempted to switch versions due to the narrator, but doing so would have been ridiculously expensive! Was War and Peace worth the listening time? 60 hours is a lot of time for anyone, but if it makes the difference between reading the story and not, it's worth the investment. 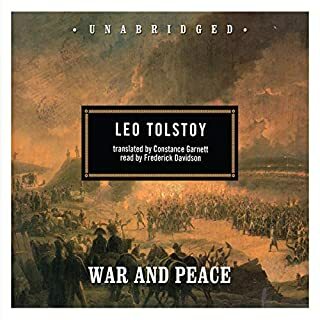 War and Peace deserves, at least in part, it's accolade of being the best novel ever written so for no more reason than being able to have an opinion on whether or not you think it is as great as it's famed to be, you should listen to it. I did learn a lot about the Napoleonic wars which I'd obviously slept through when we covered them in school so from a 'you should know this stuff' point of view, it's worth the listening time even if the genera isn't quite up your street. The quality of the editing and the digital download is immensely disappointing. Many chapters have digital corruptions causing lots of 'jumps' between sections, sometimes it's obvious that only a word or two have been skipped, at other times it's possible that you've just jumped a large part of a chapter. Had I paid full price for this, I would definitely have been looking for my money back, but as this was my free introductory book from Audible, I could tolerate it. That said, as it was my first introduction to the quality of audible's offerings, I did question whether all books would have similar problems. So far, it appears that most of the other books I've now listened to aren't quite so bug ridden, but like I say, if you intend to pay for this, don't, use one of your credits and get it for just under £8, it's worth that but not more. Would you be willing to try another book from Joseph Conrad? Why or why not? Probably not, Conrad's writing style and subject matter didn't appeal to me. 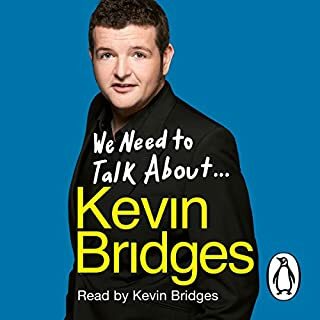 This was the most appalling reading of any audio book I've ever listened to, I mean it was really bad. I've genuinely listened to better readings from Librvox. The narrators intonation was all over the place, he sounded like he was doing an incredibly bad impression of William Shatner with high's and low's all in the wrong place, pauses where there shouldn't be any and generally didn't pay attention to any of the punctuation in the text. It actually sounded like a computer programmed voice from the 80's as if Stephen Hawkin had decided to read us a story. Normally I can live with a narrator even when they're not that great, but in this case, all I could focus on was how poorly the book was being read which completely detracted from the text. 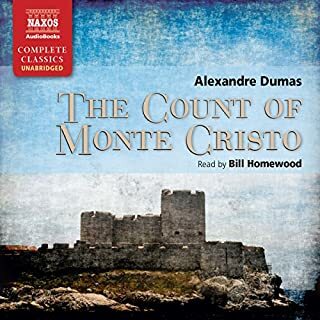 Poor job, spend a bit more money to get one of the better recordings if you want to stand a chance of enjoying this novella. 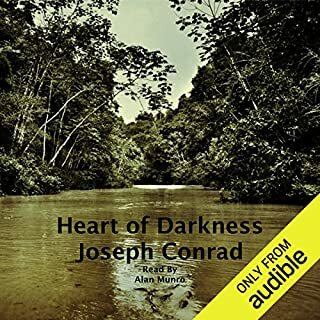 What character would you cut from Heart of Darkness? Kurtz - he's hardly in it despite the fact that he's the main reason for the journey!